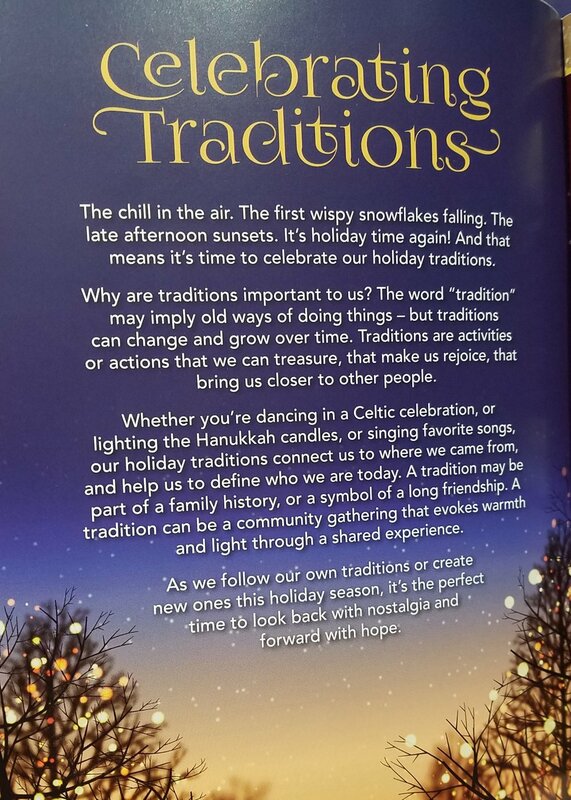 First off, the magic of traditions. Having an annual experience that I look forward to each year is so special. This concert, going to the Chatham Christmas Stroll, watching all my favorite Christmas movies, hanging the lights outside / decorating the house the same way each year, going to the Chatham Bars Inn for Christmas dinner, singing my favorite Christmas songs - these have all become traditions for Paul and I since we’ve been together, and I am so excited to see how it unfolds throughout the years. The other thing that I became well aware of during the concert was how clapping can instantly uplift you and bring you joy. I learned this in my yoga teacher training. Clapping is a mudra (hand position) we use to break up stagnation around the heart, and elevate your mood - and clapping is such a natural thing to do when you’re happy! If you’re feeling the winter blues, or are feeling heavy and uninspired, try clapping for 1 to 3 minutes. It might seem weird but it will totally shift your mood, I promise! This past Sunday was a totally dreary, dark, rainy day, and I didn’t get outside to walk or do any sort of yoga practice, so I was feeling the stagnation. As soon as I started clapping in between songs, I gained more energy and enthusiasm. Granted the music and the concert helped, but you get the picture! I encourage you to think about the Christmas / Holiday traditions that you look forward to each year and give it some attention and gratitude. Gratitude keeps our blessings alive!